Bus Rapid Transit is a recognised and innovative public transit system. 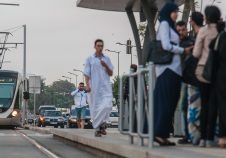 Thanks to targeted outfitting designed to optimize performance, BRT is reinventing daily mobility. high capacity, eco-driving, use of electric and green vehicles: for more sustainable mobility. 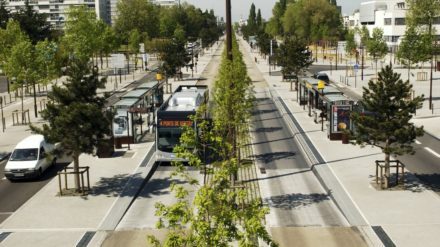 As the forerunner in France with the TEOR East-West Transport System in Rouen, we develop customised solutions that can be integrated into existing transport networks and adapted to meet the specific requirements of each local authority (size of population base, short and long term needs, desired level of investment, etc.) 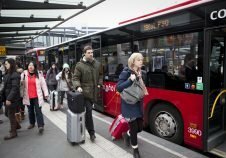 With BRT, we enhance urban centres such as Bogota, Nantes and the greater Paris region by creating decongested, cleaner and revitalised cities. Our offers are tailored to provide specific solutions to meet all transport needs. We analyse these needs to provide our clients with the best possible solution. Thanks to our global cost strategy from project launch to implementation, we are able to optimise your investment capacities in line with your performance targets. We accompany our customers throughout all the stages of their projects by optimising the use of their network and the quality of passenger care and services. The Nantes TAN network: a wide range of solutions. 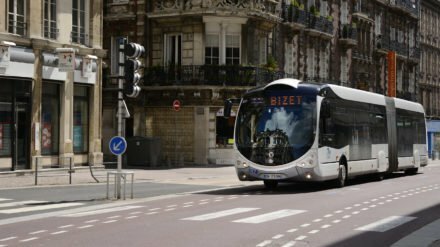 Fully integrated into the Nantes transport network, BusWay® and Chronobus are efficient transport solutions that offer passengers dynamic information systems and high-end services that provide. 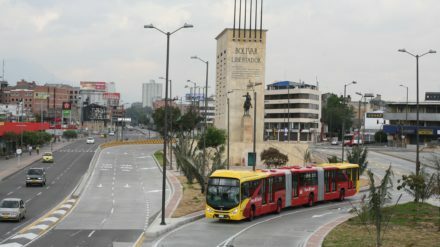 In Bogota, which is one of the most congested cites in the world, BRTS has triggered a true revolution in public transport by offering passengers more in terms of capacity, rapidity, safety, information and services. This innovative transport system has also sparked the renovation of urban spaces. 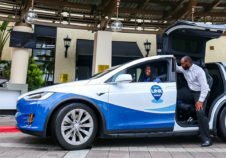 As an integral part of the Company’s values, innovation serves to design transit services and electric mobility, in accordance with the energy transition law, as well as new modes of transportation, such as high-performance buses which fully integrate the inter-modality rationale of the smart city.